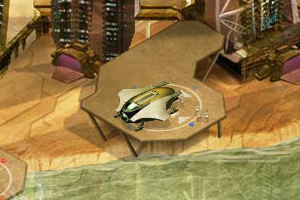 Overhead view of New Vulcan from the browser game. Star Trek: New Vulcan Reborn is a puzzle game that sees you assume the role of a key member of the Vulcan Principal Research Council. You have been charged with helping to co-ordinate the colonisation of a new planet for the surviving members of the Vulcan race. Your keen intellect is required for the myriad tasks involved in such a huge undertaking. It will be up to you to brief military personnel, direct automated mining teams and advise civilian settlers to help establish the foundations of New Vulcan. There will be twenty-four missions, one released each day, with three already up. The game play is very simple; you have to select a target for whatever task you've been assigned, and are rewarded with a little animation of people doing that thing once you've made your selection. 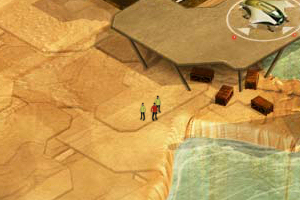 You also get points for choosing the right place on the map of New Vulcan, and for doing it quickly, with a leader board leading to you potentially winning prizes, including copies of Star Trek: The Video Game, Playstation 3s Xbox 360s, a 3D TV, and copies of the first nuTrek film on DVD or bluray. You'll need to be in United Kingdom, Sweden, Canada (excluding Quebec), USA (excluding the States of New York and Florida), Germany, or Norway, to win stuff though. The Vulcan High Council ship arrives. 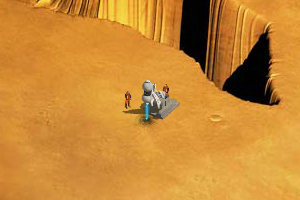 It is a boon to have someone of your calibre on board as we begin to colonize a new home-world for the Vulcan people. Initial steps have been taken to prepare the planet for habitation and your arrival signals that this undertaking can now being in earnest. Today, members of the Vulcan High Council will arrive to offer guidance during the colonisation efforts. 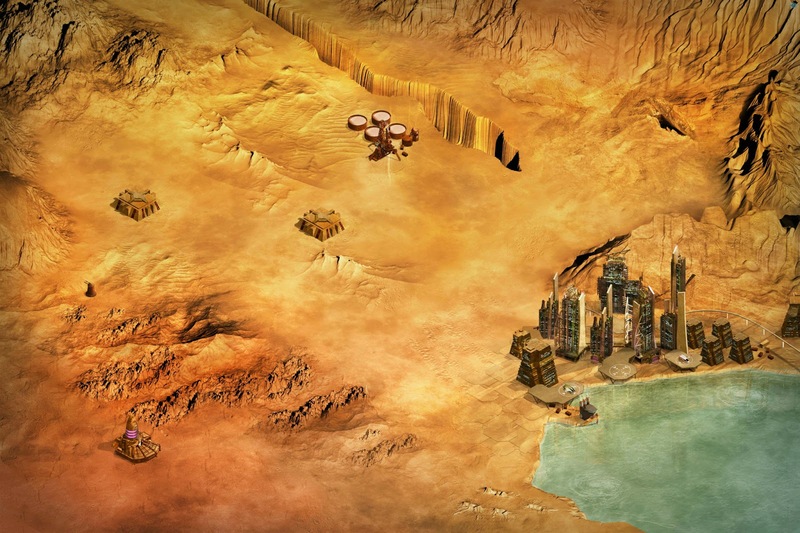 Deploy a military detachment to the spaceport's eastern landing pad to ensure their safe transfer. Clue: Score a touchdown at landing pad three. A consultation session with representatives from the Vulcan High Council and our chief engineering officer has just concluded. The council welcomed your foresight in proposing the construction of a combined high-volume water treatment facility and recycling plant to meet the needs of the developing city. The rocky outcropping overlooking the water to the south of the city is the logical site for this construction. Plot the location and we will send a survey team to commence planning. Clue: There's a perfect spot overlooking the water. The drilling platform in action. Sub-surface scans of the planet's crust have revealed energy spikes in the south-west quadrant. We should prepare an exploratory mining platform to further analyse the source of the readings. Choose a location due east of the of the outlying power station that we have already established in the region. The drilling platform should be constructed nearby, but so close that it risks disturbing the power station's energy matrix. Clue: It's a stone's throw to the right of the power station. Future missions promise to feature a meteoroid threat to the planet, the discovery of pergium reserves and ancient ruins, and wild razor-boars threatening the city. So sign-up and have a go, and help to build New Vulcan so the Gorn have got something to destroy when you get to playing Star Trek: The Video Game!